Twenty-six-year-old Egidie Twizeyeyezu graduated from the University of Rwanda in 2015 with a degree in economics and entrepreneurship. Since then, she has been unable to find a job. Instead, she’s resorted to selling second-hand clothes in the streets of Kigali, working all day to earn approximately 2,000 Rwandan francs (US$2.30). While some work was better than no work, street vending was not a long-term employment solution for Twizeyeyezu. “The business of selling any commodity on the streets was very risky, as the government restricts it,” she says. Twizeyeyezu’s experience is common among Rwandan youth; according to the Rwandan Ministry of Public Service and Labour, 20% of youth in the country are unemployed. 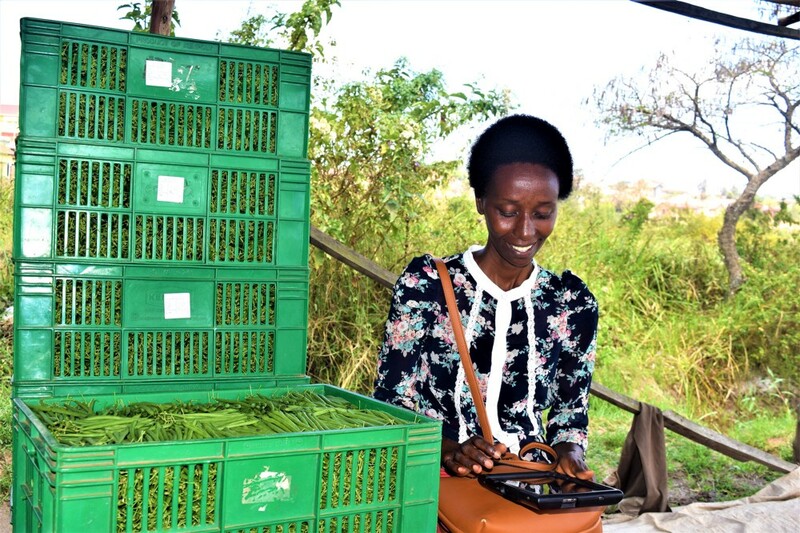 At the same time, as of 2012, over 50 percent of Rwanda’s population was under the age of 20 and preparing to enter the workforce, which, in Rwanda, is still largely agriculture-driven. To help address this looming challenge, the Feed the Future-funded USAID/Rwanda Private Sector Driven Agricultural Growth (PSDAG) program partnered with the Rwandan Ministry of Agriculture and Animal Resources (MINAGRI) and the Rwanda Youth in Agribusiness Forum (RYAF) to launch a one-year paid internship program for youth in the agriculture sector. Through the new pilot program, 328 young graduates with degrees and diplomas in agronomy, finance, food processing, and other relevant areas have been placed among 12 small agri-businesses and 48 cooperatives to complete their internships, starting on July 1, 2018. These agri-businesses and cooperatives have all previously been supported with technical assistance and co-investment by USAID under the PSDAG program. The Abadasigana Kinyinya Cooperative’s Deputy President, Anaclet Munyandamutsa (third from left), poses with the group’s three interns: Antoinette Umurerwa (second from left), James Sekayange (left), and Egidie Twizeyeyezu (right). The cooperative is made up of more than 200 French bean farmers, operating on 8.5 hectares of government-leased marshland. Credit: Aime Ndayisenga/USAID PSDAG Program. Now entering their second month on the job, Twizeyeyezu and her two fellow interns serving at the Abadasigana Kinyinya Cooperative are not only inspired by their current experience — they’re excited about what the future can bring. “I had never had a chance to practice what I learned [in school] about real-life entrepreneurship like I am doing here,” Twizeyeyezu says. Her focus within the cooperative has been on sales and marketing. 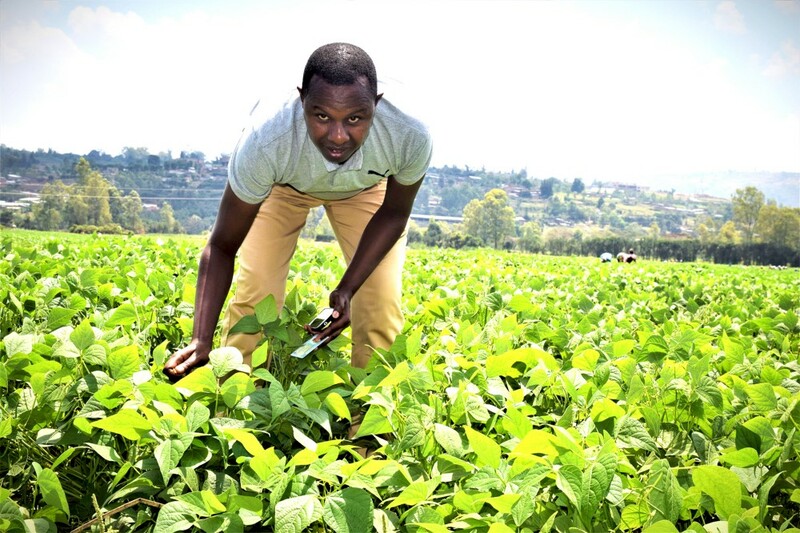 James Sekayange, an agronomist, is one of three youth interns providing support to Rwanda’s Abadasigana Kinyinya Cooperative. While the cooperative currently has a contract with a local French bean exporting company, the hope is that the three youth interns can help fill gaps in technical knowledge on best agronomic practices, financial skills, and market linkages. Credit: Aime Ndayisenga/USAID PSDAG Program. Antoinette Umurerwa is helping the cooperative with financial management and accounting. She described the program as mutually beneficial for both youth and the cooperative. “[I am] assisting the cooperative to harmonize their accounts, but at the same time learning from the cooperative’s daily operations.” Based on the skills acquired during the internship program, as well as savings from the stipends, Umererwa plans to establish her own farming business after she completes the program. 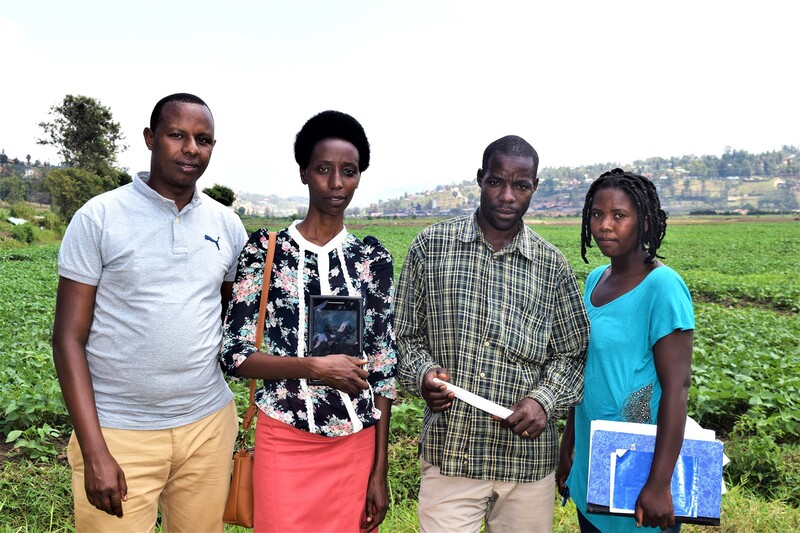 Through the USAID/Rwanda-supported internship pilot program, Antoinette Umurerwa is assisting the Abadasigana Kinyinya Cooperative with its accounting practices. Credit: Aime Ndayisenga/USAID PSDAG Program. To help ensure that the interns succeed, MINAGRI and RYAF have provided orientation trainings on basic workplace skills, and PSDAG staff are providing monthly coaching and mentorship to interns placed at cooperatives and agribusinesses. If the internship program is successful, MINAGRI and RYAF intend to scale it up to include additional participants and create a deeper impact across Rwanda. The USAID/Rwanda Private Sector Driven Agricultural Growth (PSDAG) program is a five-year (2014–2019) effort funded by the United States Agency for International Development (USAID) through Feed the Future, America’s global hunger and food security initiative. Implemented by RTI International, the goal of PSDAG is to increase smallholder farmers’ incomes by promoting private sector investment and to facilitate the transformation of agriculture into a market-oriented, competitive, and high-value sector.